I have had a love affair with rubber stamping and paper crafting since the late 1990's. 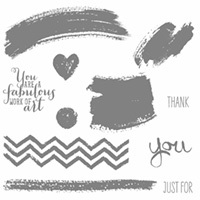 I have been making purchases from an amazing company called Stampin' Up! every since I first started stamping. In fact, the very first stamps and inks I ever bought were from that company and I still own them! I have thought about becoming a demonstrator for them for at least 10 years, but timing was never right until now. I am proud to announce that I am now an Independent Stampin' Up! Demonstrator. I will be hosting workshops in my home, friend's homes, your home and public venues. Let me show you products that are superior in quality and are not found in stores any where. Love Pinterest, but not sure how to do those DIY paper projects? Let me show how. I will be demonstrating everything from lovely cards to gift items, home decor and everything in between. 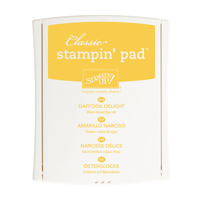 With the way Stampin' Up! groups their products and colors, it takes the worry out of putting the right things together and matching and coordinating colors. Anyone can do this. Even those of you who think you do not have a crafty side, let me help you find that side, because I know it's there! If you want to keep up with my workshop dates and my current projects, please enter your email address (on the side bar) to receive my website updates. By all means, let me know if you are ready to have some fun and make things. My July calendar still has a few dates open. Learn more about the benefit of hosting a workshop here. The business card below was first printed on my home printer. Then I stamped the images with Stampin' Up! inks and finished them off with matching Brights Candy Dots.The inks are here. The Candy Dots are here. The stamp sets are here and here. 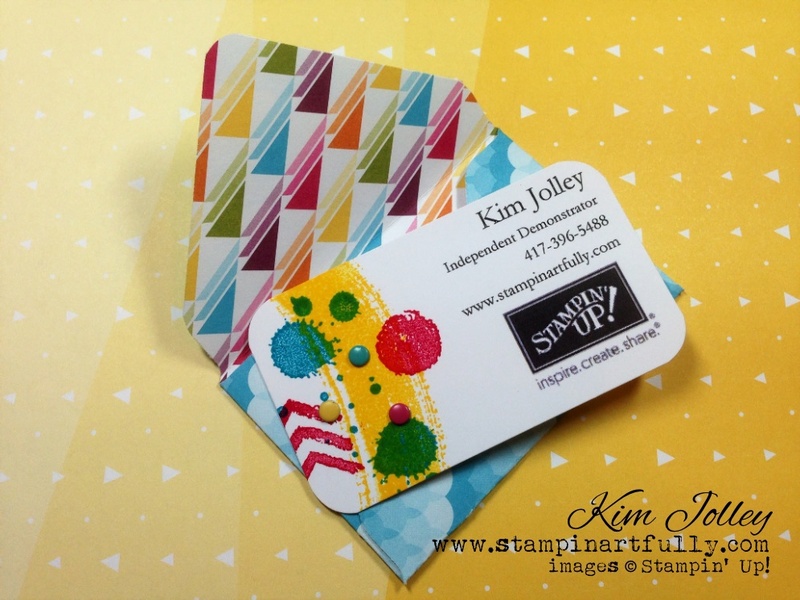 The tiny envelope (perfect for a gift enclosure card) was made with Sweet Taffy Designer Series Paper located here using the Envelope Punch Board found here.